We’ve talked about tasty chocolate cakes before, both complex and super simple. 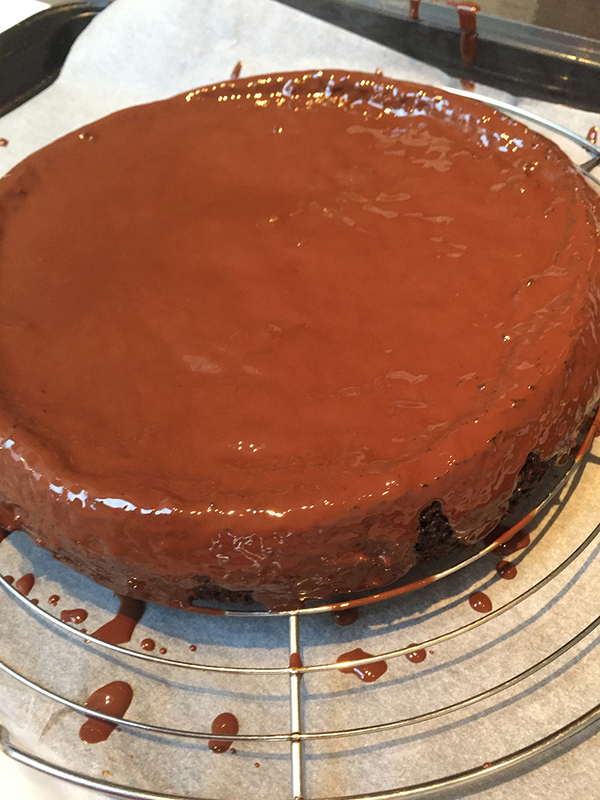 This particular chocolate cake is another easy one and the basic recipe lends itself to so many variations, I bet you’ll make your own version too. It began with my SIL sharing a link to the ever reliable Smitten Kitchen and one of her chocolate cakes. With olive oil. Yum! On of SIL’s kids is vegan, as is one of mine (although neither of them would really classify as children anymore), so when interesting plant-based recipes or suggestions come along, we usually check ’em out. And anytime’s a good time for baking, so I started as soon as I got home from work, thus realizing too late that I was almost out of cocoa. So I had to improvise. Which turned out to be a blessing, as this cake has evolved and changed almost every time I’ve baked it in the last few months, and there has been a few. First time I added almond meal. That was a hit. Then I tried almond meal and coconut — as I had forgotten to replenish the cocoa — and that one disappeared very quickly. Another version was extra cocoa, with grated orange and freshly squeezed juice. This particular chocolate cake recipe, though, is what I made for Christmas Eve. It didn’t even make it around the table. So I made another one for Christmas Day. And yet another one for our annual pizza party with the cousins before New Year’s. Actually, I’ve made this four times in the last week or so. It’s that tasty and so quick and easy to put together. 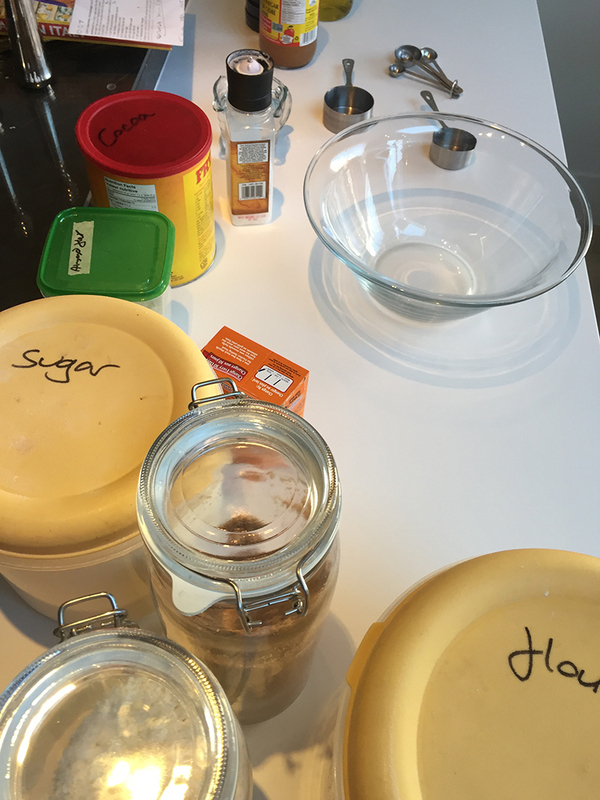 I don’t even bother to set up my usual beloved mise en place, just get out the ingredients and a few measuring cups. Blend the dry ingredients first, a spatula works great. And you only need to wash one bowl! Bonus. 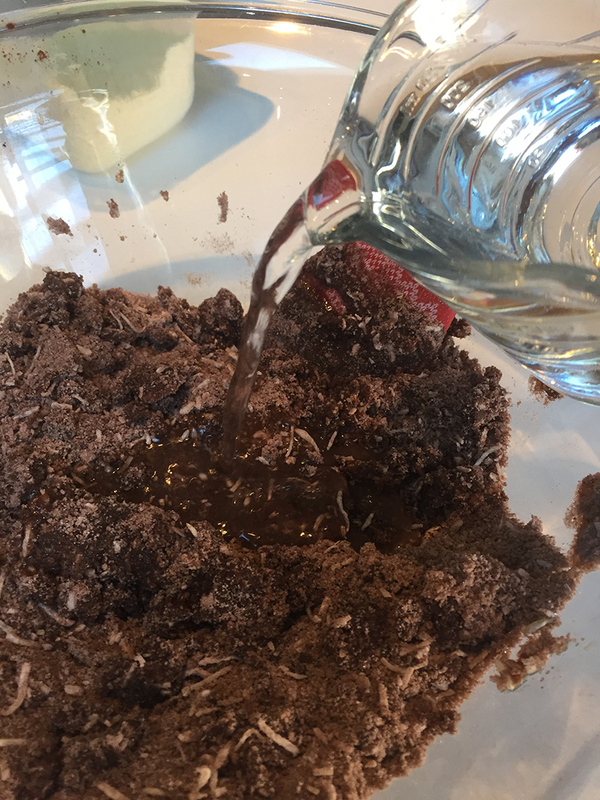 Pour in the water once you’ve incorporated the other wet ingredients. The batter is fairly thick, and you can see the coconut. Into the oven it goes! Smell this beauty. 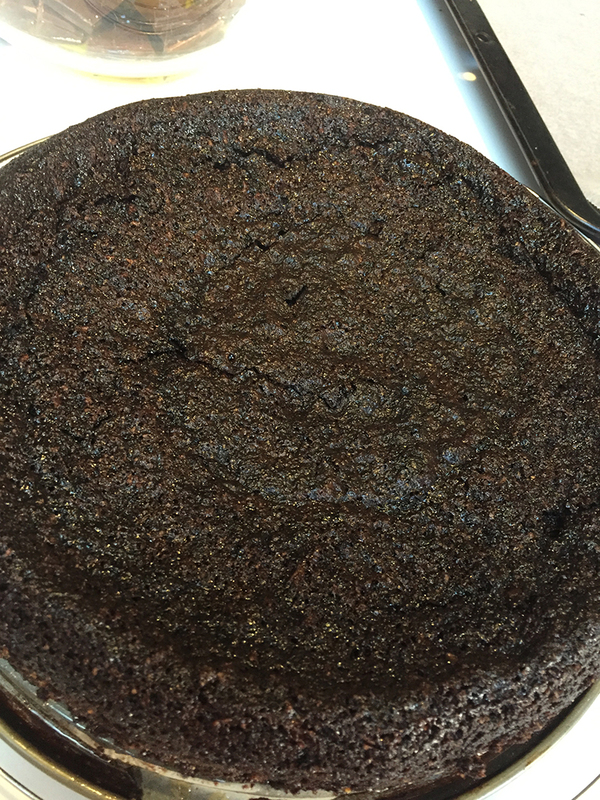 If you have a convection oven, use the air setting and the cake will develop a nice caramelly crust. As it was the holiday season, we splurged on a glaze. The cake’s good without, but if you happen to have some decent chocolate around, it’s worth using. 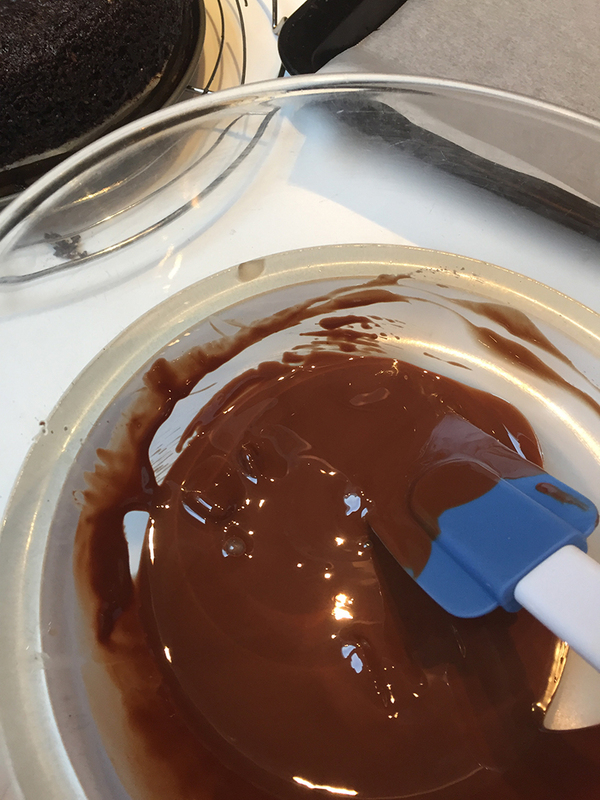 Warm up the chocolate until it’s almost melted, then stir to finish off. Here we go! 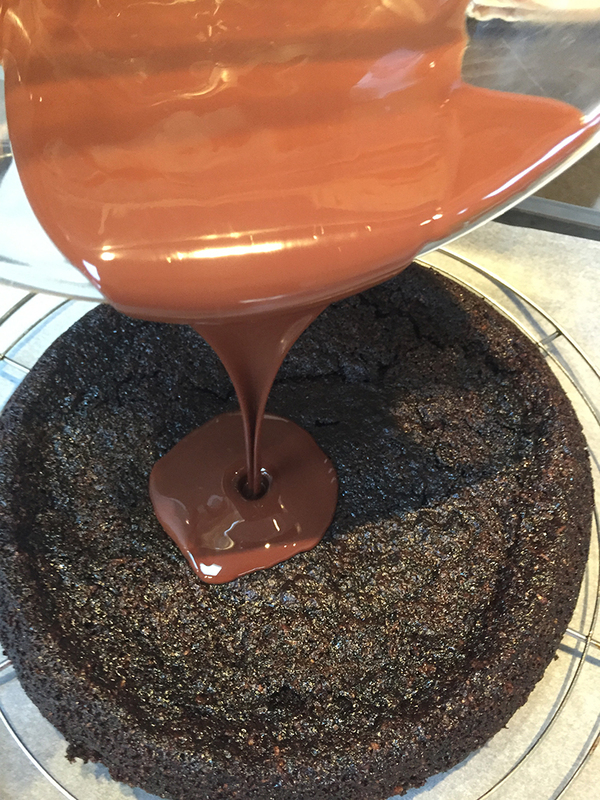 When using the basic chocolate and olive oil, simply pour the glaze over the cake and tilt the cake to allow the glaze to spread evenly. It looks prettier if you don’t use a spatula. However if you do want to fancy it up a different way, add a spoonful of hot water to the glaze as you heat it up and the consistency will be perfect for spreading. Simplifies the cleanup too and no chocolate is wasted. That’s a good thing. Let the glaze set for a while before you carefully transfer it to a serving platter. Ask a friend for help and use two large baking spatulas to gently slide it from the rack. 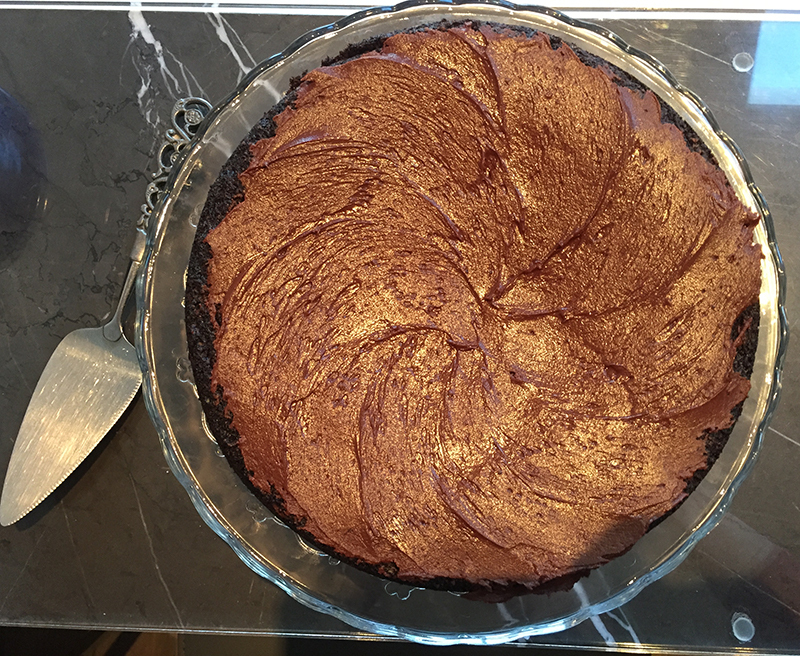 Vegan or not, this is simply a really good chocolate cake. Is it the best ever? It’s up there for sure as that accolade changes depending on the season and what I can remember. Like the one I carried in a pristine white box with a ribbon from Paris to Vancouver to visit my then-boyfriend (now hubby) for Christmas. Back in the days when you were allowed to take important items such as a made-to-order freshly baked chocolate truffle cake on a plane. That one wasn’t homemade though. This one is! Heat the oven to 350F and prepare a standard size spring form pan with parchment in the bottom and oil the sides and bottom well. 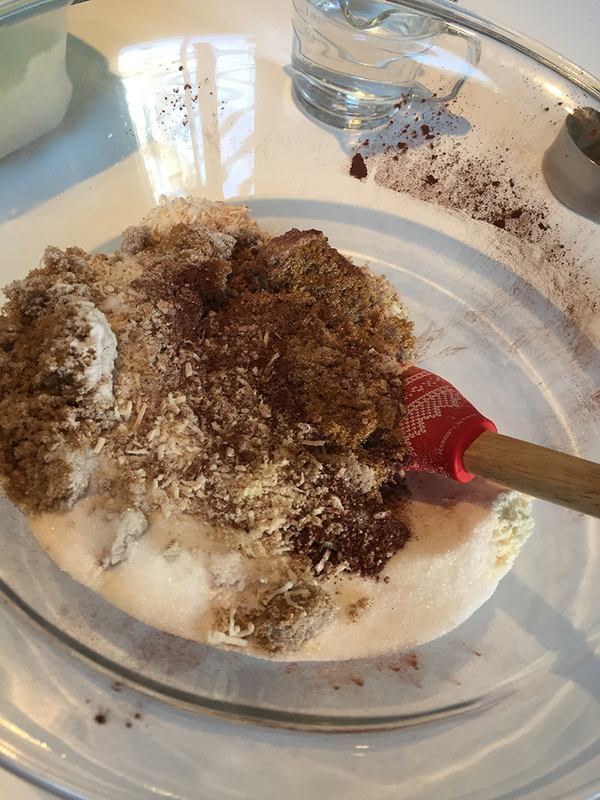 Measure out the dry ingredients and mix together in a large bowl. Add the olive oil, cider vinegar, and vanilla, and blend well, then pour the water over the mixture a little at a time and stir to combine. Pour batter into prepared pan and bake in the middle of your oven for about 30-40 minutes until middle is springy to the touch and a cake tester comes out clean. Leave to cool on a wire rack for 15+ minutes before adding the glaze. Cake is delicious without the glaze, but a little extra chocolate goes a long way, right?! 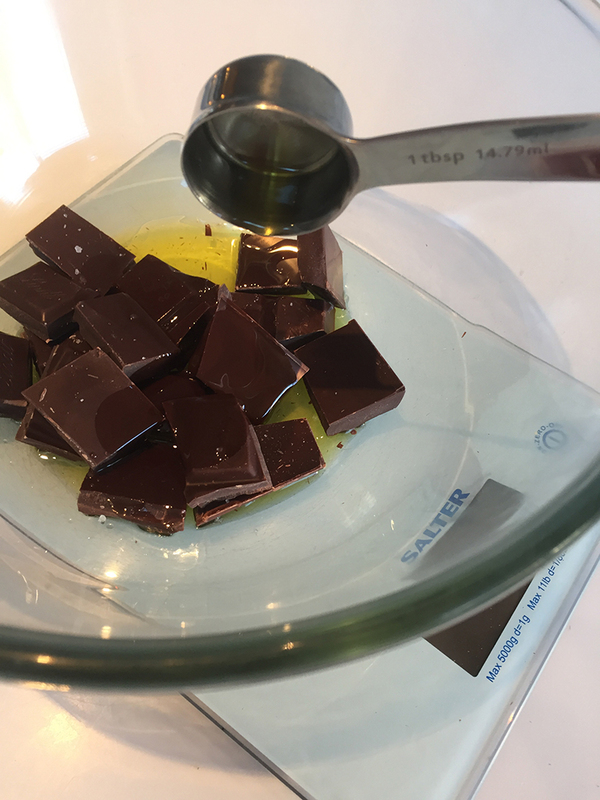 For the glaze, measure up the chocolate in a glass bowl, add the oil and water, then heat in a microwave (or over a water bath), for 1-2 minutes, but do take it out and stir after the first 30 seconds or so. Remove the cake from the pan and pour the glaze over, starting in the middle. Tilt the cake to let the glaze run over the side. Don't use a spatula as it leaves marks. Serve and share with someone you like. 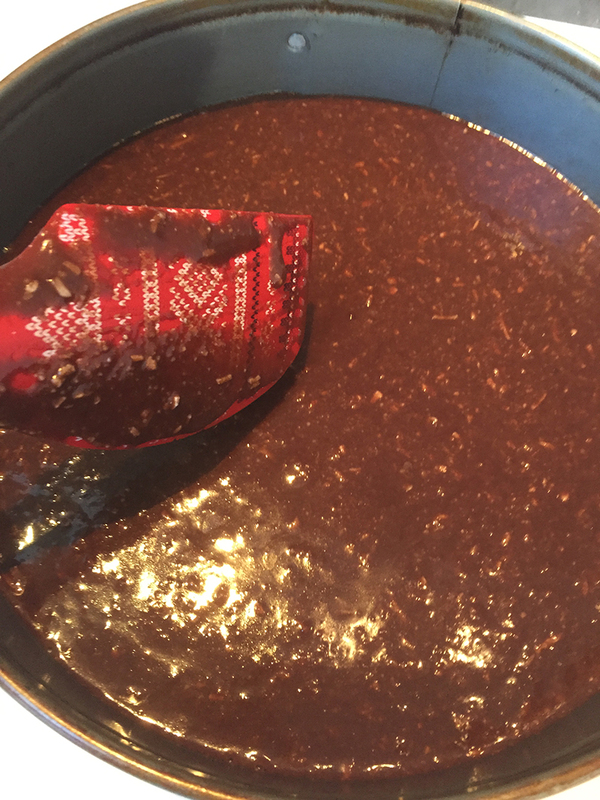 Add 1 Tablespoon hot water before melting the glaze for a chocolate olive oil water glaze which is spreadable. A good pinch of fleur de sel adds another layer to this one. Salty sweet!